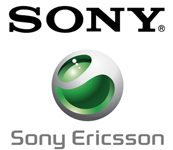 Sony Xperia & Sony Ericsson – Spain & Portugal Networks – [Tool ID: 717] : Delivery in up to 5 business days. 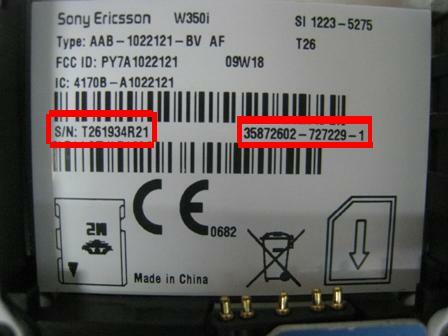 Sony Xperia & Sony Ericsson – WorldWide (3 Batch / week) – [Tool ID: 571]: The Supplier collects all pending IMEI every Tuesday, Wednesday, and Friday around 4am (GMT+4). And delivers all the Unlock Codes less than 10 Hours after collecting the IMEI. 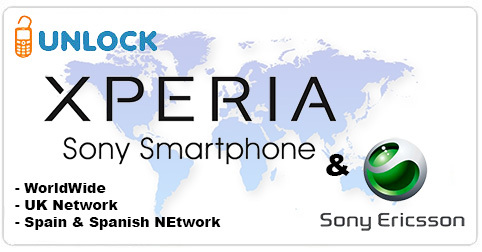 We just add a new service to Unlock Sony Xperia & Sony Ericsson by Code (just with IMEI). This new service deliver All Levels (SPCK, NCK, NSCK, CCK). Supplier collect all IMEI every Monday Evening around 11pm (GMT+1) and deliver the code 24 Hours later on Tuesday . It’s a second service for “Monday Delivery” (All Levels) at a cheaper price, but limited to Sony locked on French, Spanish or United Kingdom Networks. We’re happy to inform our customers that we just add a new service to Unlock all Sony Xperia & Sony Ericsson from Orange Poland. 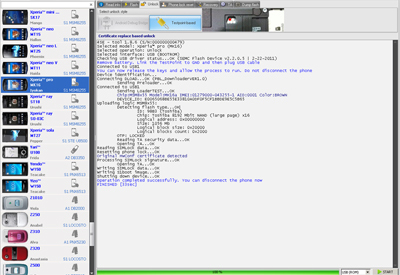 We test the service with few IMEIs and it look to be working properly ! So we can today advertise this fully tested & working service. Absolutely all models are supported and unlock code are coming in less than 24 Hours. We’re pleased to inform that the two services “SonyEricsson (IMEI + S/N)” (Tool ID: 112) & “Sony Xperia (IMEI + S/N)” (ID: 391) are now back to work at full speed. And now we just need IMEI (no more need to ask customer for S/N or KBH). So we rename these two services to : “SonyEricsson (IMEI Only)” & “Sony Xperia (IMEI Only)” and both keep the same Tool ID. Suppier collet IMEI usually Tuesday evening and deliver the code the Thurdsday or Friday of the same week. World First, we just add 4SE Server “Signature Unlock“ Credits on UnlockBase Server. This is simply the Ultimate Solution to Unlock using Original USB Cable and Without Test Point all new Sony Xperia in Real Time! If your phone is in the list of supported models below, then you can unlock it right away & in real time no matter the name & country of the original network provider of your Sony Xperia! – and you will see IMEI + KBH info. The services “Sony Xperia (All Level by IMEI)” [Tool ID: 383] and “SonyEricsson (All Level by IMEI)” [Tool ID: 273] are currently down until further notice. We’re sorry to inform everybody that we just return as Not Found all pending order and remove these services from our Server.